A look from the 80s that's now back in fashion, own your own piece of iconic history with Oakley's Frogskins Iridium Sunglasses. 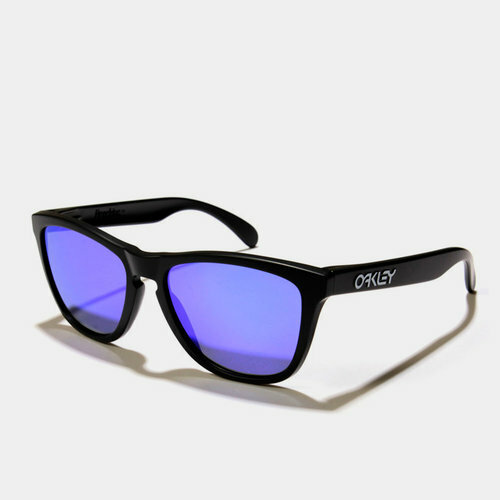 A matte black look to the frame incorporates the Oakley brand raised in white for added distinction atop each arm. Complete with a Microclear™ bag for lens cleaning and frame storage, check out our complete sunglasses collection.